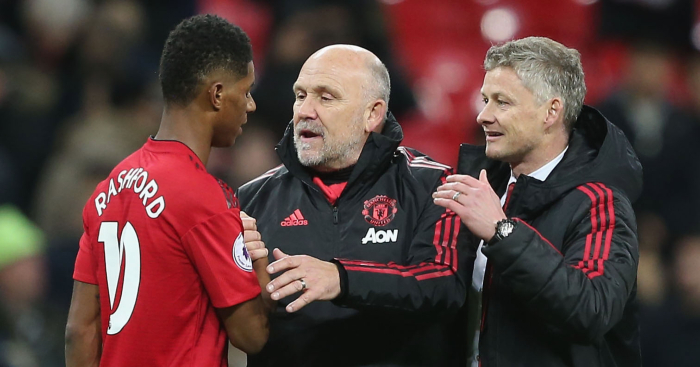 Home Mailbox How can Solskjaer be criticised for playing his best side? 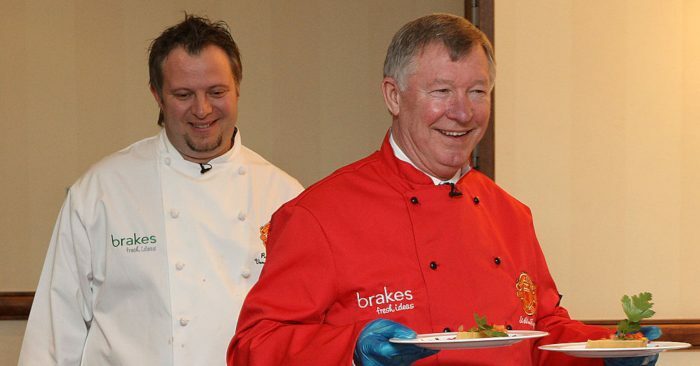 How can Solskjaer be criticised for playing his best side? I think I might have watched a different game to Ashley Metcalfe if he thinks that Ole is to blame for that loss. The only blame you possibly level at Ole Gunnar Solskjaer was that Lingard and Martial were rushed back too soon, but seriously who else was he supposed to start? I also don’t really see any logic in naming a deliberately weaker starting 11 against a dangerous opponent, just so that we could have a stronger bench. And criticising the tactics is harsh in the extreme; that lineup and formation is about as close to our best as was possible (obviously De Gea would be ahead of Romero and probably Young for Dalot on current abilities), I don’t think you can ever be fairly criticised for playing your best side. Where Ashley absolutely loses me is by claiming that there are any doubts about Ole’s ability to change a game; I would refer to the second leg of the PSG tie for recent evidence of this. No, I don’t think there was a great deal more that Ole could have done in the circumstances. I think the game was lost because our players were awful, pretty much without exception. Maybe it’s tiredness from a hard few months since he took over, maybe it’s a few players lacking fitness or sharpness, maybe it’s a bit of apathy from certain individuals, or – and I know this is a wild theory – we were just outplayed by a talented team; I’ll take those one by one. First, the tiredness. My perception is that squad rotation is infrequent, with changes only really happening when enforced. 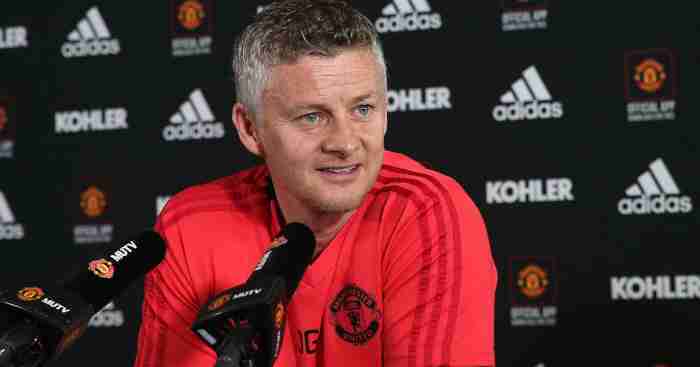 Ole’s style has seen us increase the amount of distance our players cover, due to the pace at which he’s asking them to play and because we are attacking more often than before. I don’t have any problem with this because it has been very effective so far and it’s been mostly fun to watch. 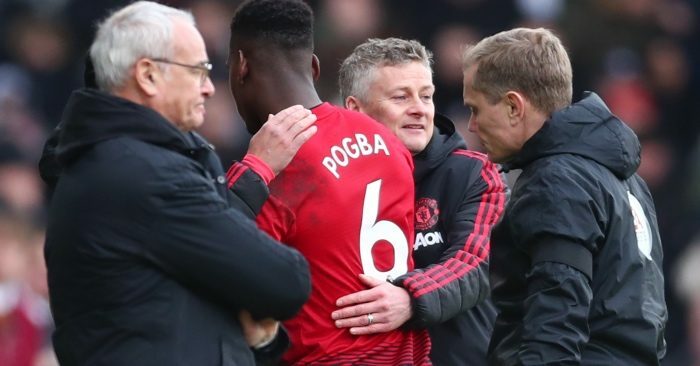 However, we’ve been playing this way pretty much since he took over, so it’s natural that some players are going to start to show signs of fatigue, which is obviously starting to have an effect on the performances. Our best plan relies on pace and movement, so maybe he could have a backup plan which allows for a more measured approach but that’s forgivable really. Which leads me onto point two – fitness/sharpness. It’s pretty clear that we have been very good when all our players are available and match sharp. Our front three of Martial, Lingard and Rashford have caused problems for many defences with their pace and movement. Lukaku has also started to show signs of his old self, and the pace of him and Pogba has further stretched opponents. However, this energetic style of play has probably caused injury issues for a few of the players who do more running – most notably Sanchez, Lingard and Martial. You could even include Matic, Mata and Herrera in this too – while they’re not known for their blistering pace, they have been trying to play to a higher tempo than before. 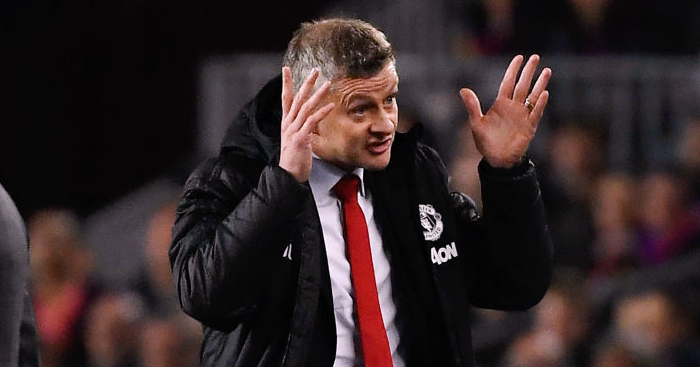 With Martial and Lingard out, our options were thin on the ground to play the same style, so Ole changed it for the Liverpool game, only to lose his alternatives to injuries of their own. This highlights the deficiencies in the squad; if Ole had been in charge all season then I think it’s likely that we would have been looking for alternatives in those high risk positions. It’s currently hypothetical but I would expect some additional options who are capable of taking up the slack on the wings and in central midfield would be on the list this summer if Ole stays on. Then there’s the apathy but I’m really only talking about one player here, and I’m sure you can guess who. Call me a cynic but since Zidane took over at Real Madrid there has been a notable downturn in Pogba’s performances. One could be forgiven for thinking that the timing if a little suspect, even if it is a little coincidental. Given that he missed the PSG second leg, Pogba should have been one of our freshest players but in both the Arsenal and Wolves games he looked way off the pace. He has been vastly improved under Ole but this seems to have tailed off in the last few games, since the first PSG game really. Maybe I’m being overly harsh or maybe it’s more to do with the fact that he’s got a young child now, but it isn’t beyond the realms of possibility that he fancies a move to Real now that Zinedine is back at the helm. But what I don’t want to do is take away from Wolves’ performance – they were excellent. Their players were all raring to go and they all looked very comfortable with what they were being asked to do and, more importantly, the executed their plan pretty flawlessly. Their defence and midfield were so efficient that Ruddy could have sat on the goalline in a deckchair for most of the game. The Rashford goal was little more than a consolation because they did such a good job of nullifying our attacks. Nuno has really done a magnificent job there so far, albeit it with a slight financial advantage over other promoted teams, but having money doesn’t guarantee success, as many have proved before. I genuinely do hope they go on and win it (not just so it scuppers City’s quadruple bid!) but because they are a very entertaining team to watch. Good luck, Wolves! A good question posed in the morning mailbox, and one I’ve discussed with my fellow united fans. Opinion is divided, but personally I’d rather see City win the lot. Firstly, any success City have comes with an asterisk next to it, whether their fans like it or not, and that asterisk will only be underlined and in bold if the current accusations prove founded. 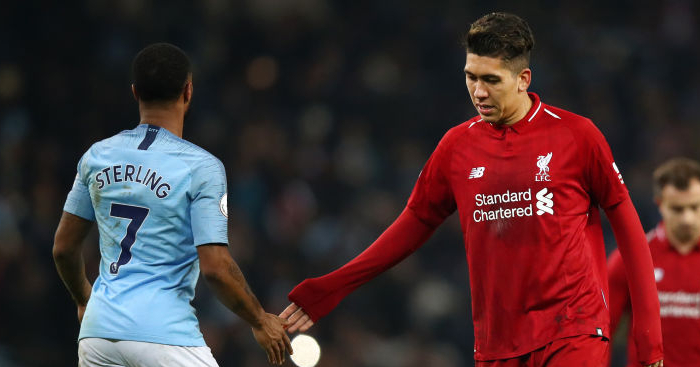 Secondly, and linked to the above, is the response of the neutrals and pundits, who generally polite applaud the undeniable quality of City’s football but with the caveat that it’s all a bit soulless. If they win the lot then there’ll be a collective “well done” and then 48hours later, something else will be the headline. What you won’t get is all the “famous nights at Anfield”, “the Kop sucking the ball in” romanticism you’ll get with Liverpool. Thirdly, and this is the most important thing; if Liverpool win the league, you will never, ever hear the end of it. The truth is, City don’t have anything like the fan base of Liverpool, and the ones they do have aren’t as vocal. Throw on top the sheer number of ex-Liverpool pundits and it’ll be a waking nightmare. If City won the quadruple, there’d probably be two mails from City fans in the next Mailbox. If Liverpool won the league, there’d still be 427 sent in everyday in 2047. So yeah, anyone but Liverpool, even City. A few things, I know United had some luck when winning some of their many trophies but City what with the teams they have drawn in their current cup runs coupled with 2 ridiculous decisions against Swansea has any team in the short history of the Premier League has so much going for them? Liverpool seem to come up with a winning penalty every time they need one, another soft one given against Fulham with Mane’s exaggerated fall after contact. Wolves were fantastic against United and well deserved their win, one thing does bother me though the amount of times Wolves players barged United players with no intention of going anywhere near the ball yet time and again nothing was given. On to David Moyes and his Sultry comment, I presume he meant surly? I hope to God he did anyway. Stop your pouting Marco and put the bloody mirror down you smouldering hunk we’ve got a game to win. In terms of fans who appreciate football, whilst being fully aware of the current state of their football clubs, Fulham and Portsmouth must be up there. There seems to always be an air of optimism around these clubs’ fans, even though the reality is much more gloomy. It is with this intro that I respond to Wickyleaks’s mail (from Canada). Back in the 04/05 season, Thierry Henry was one of the finest strikers in the world. Arsenal ran out 5-1 winners away in an FA Cup quarter-final tie, Henry scoring two. Rather than agitate him, the Pompey faithful decided to court Henry, singing his name and joking that they were going to sign him. He was even given a standing ovation when substituted. Henry traded his shirt at full-time and, wearing a Portsmouth shirt, did a lap around Fratton Park to applaud the home fans for their support. He’s even gone as far as saying Fratton Park is his second favourite ground to play at. Remembering the Arsenal of the early 00s fondly. Wickyleaks, In the early 90’s Spurs knocked out Liverpool in the FA Cup, with a sublime goal by Klinsman at the Kop end in about the 87th minute. After the usual stunned silence the Kop then started chanting his name. Re Wickyleaks comments on rival fans chanting a player’s name, as a West Ham fan I clearly remember Frank Lampard Jr’s name ringing around the Upton Park on more than one occasion. 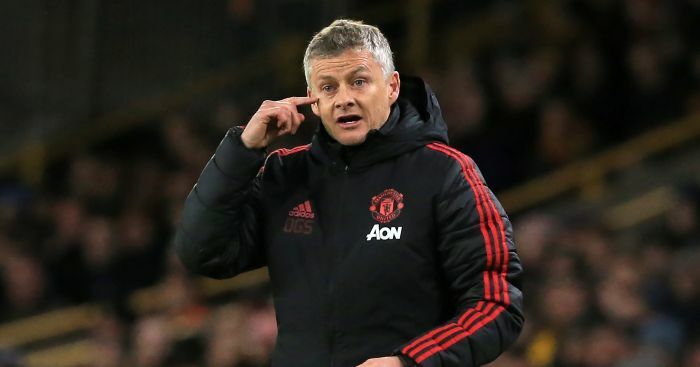 With two losses on the bounce for Ole’s United, questions are rightly being asked about his tactical acumen and ability to change a game. With the losses coming against a team who have made The Emirates a fortress and another who have built their season around giving top teams a bloody nose, I’m not pushing the panic button just yet and fully believe he should be judged at the end of season on the league points finish, particularly in comparison to when he took over. Regarding the aforementioned game changing abilities, I think Saturday’s game demonstrated, if it needed demonstrating, just how adept Jose had become at wasting other people’s cash. With the strongest eleven on the pitch (you could argue Lukaku has played himself into such discussions) and Lukaku and Sanchez injured, there was literally nothing he could do to change the game personnel wise (I acknowledge there are other ways to change things during a game of course). If Sanchez had been fit it would have been more in hope than expectation in any case such is his decline. We lack any semblance of balance in attack with no right sided option and the midfield behind Pogba is industrious but technically uninspired and can be shown to lack mobility when Matic is having one of his games. These deficiencies have been plain for some time but between Ed and Jose it was decided that holes that didn’t even exist needed urgent and expensive plugging. We’ve seen poor squad building before (Spurs with the Bale money and Liverpool with Suarez) but the imbalance in United’s squad should definitely temper the giddiness that has been felt since Ole came in and force a more realistic assessment of what would constitute a successful caretaker reign. When Benayoun scored that last minute winner against Fulham in 2009, I believed we could win the league and finished 2nd. When Gerrard scored that last minute penalty against Fulham in 2014, I believed we could win the league and finished 2nd. Third times the charm, right? I absolutely agree, it’s time for Chelsea to sack Sarri, if only because, summer’s nearly here, and to not sack one’s manager during summer would be pretty poor form . . let’s imagine, for those who get a big warm feeling inside from bad stuff happening to Chelsea, what then will happen. It will require a few assumptions, but none that are too unbound from reality. 1. Sarri leaves a club that has limped to sixth in the league, got knocked out in the Europa League semis, and is now eyeing the late-summer joy that is an early Europa League qualification campaign. 2. Hazard says, yeah that’ll do me fellas. See you later. 4. Abramovich finally decides, he’s had his fun. Won some silverware, had a few laughs, always got the banter with big JT about missing the pen to remember, no matter what, and starts ruthlessly hunting someone to sell the club too, having decided he actually quite enjoys life in sunny Israel and not having to bother with this. 5. Kante gets nicked by Barcelona; Willian gets nicked by Barcelona, as Roman ruthlessly hunts ways to pay down its debt to him, before exiting stage-left. Summer transfers at the new budget include Ayoze Perez and Divock Origi. 6. Oh no wait, they currently have a transfer ban. Summer transfer include calling back in, with a vast pan-European whistle, their loans. New manager imagines a midfield fulcrum of Loftus-Cheek, Jorginho and Marco van Ginkel, with Lucas Piazon at the pivot. 6. A merry time is had by all. Another defeat and another time I feel I have to write in to defend Sarri from all the kneejerkers. No, the results are not going our way and yes, it was a predictable defeat once we conceded but did you all just miss the entire first half where we played some very good football but lacked the fortune/killer finish? That’s not on Sarri. On another day that game finishes very differently. These things take time and we must practice patience with Sarri. I am not absolving Sarri of all blame in the result; there has to be an element of fault that lies with him in the way we went about our second half but a huge amount must be laid at the feet of the players. It was like a completely different set of players came out for the second half and, as I said at the top, as soon as Everton scored I feared the worst. Heads drop and we start getting desperate and predictable. I have seen enough of Sarri to want him to be given another full season. I am tired of this “now, now, now” attitude of our fanbase – if we get rid of Sarri then who comes in? We’d be tearing it all up again for the sake of a few wobbles now, and yes they are just “wobbles” because we are not in the realms of expecting top 4 as a minimum any more, the league is far too competitive for that. So we’re fighting for top four, almost won the league cup and doing well in Europe. That’s a pretty decent return for a new manager who barely got a pre-season and came in to the club during a very tumultuous (when is it not?) time. No, the performances aren’t consistent but I strongly believe in giving him another season to achieve that. I am amazed that no-one has pointed this out- on Saturday 9 March Man City were four points clear at the top of the Premier League. By mid-afternoon on Sunday 17 March they were two points behind Liverpool in second. A six point turn around in a week and a day. What a bunch of bottlers!